This hat makes a great addition to any county ladies’ collection. This curled edge woven cowboy styled hat is both comfortable and attractive. The sides are formed to stay curled up, while the rear and the front of the rim are both tilted down. It has a pinched top and a narrow band at the base of the crown. This hat has a beautiful cross weave for improved air circulation. Since it is made of straw, it is lightweight and cool. The brim offers all around sun protection. It also features and elasticized sweatband to accommodate a head size up to size Large. 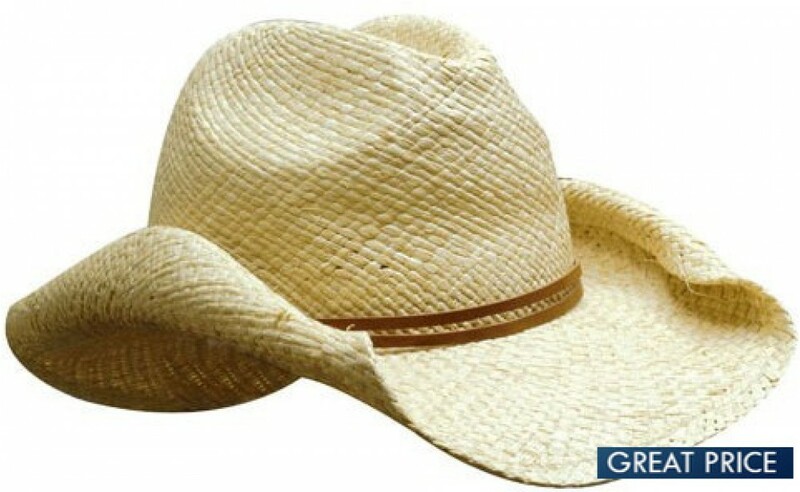 These stylish ladies cowboy style hats will look great with your logo branded on the hatband. They make great additions to the work uniforms of outdoor staff in country tourism, the country music industry and steak houses. They also make great promotional sales items in all country areas.